In an important book, Surjit Bhalla (The New Wealth of Nations) has estimated the human capital stock through education in the world, and shows it is greater than financial wealth and more equally distributed. Thus, in the US the total stock of education wealth is $81 trillion PPP (purchasing power parity), with the share of the top one per cent at 10.4 per cent, and the Gini coefficient of education wealth at 51.6; for China the respective figures are $56.8 trillion, 11.9 per cent and 63.4, and for India $6.9 trillion, 19.2 and 63.3. 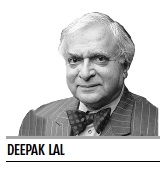 As Bhalla argues, education is the new wealth, and as with so many other economic indicators, India substantially lags behind China in this important determinant of the flow of GDP. 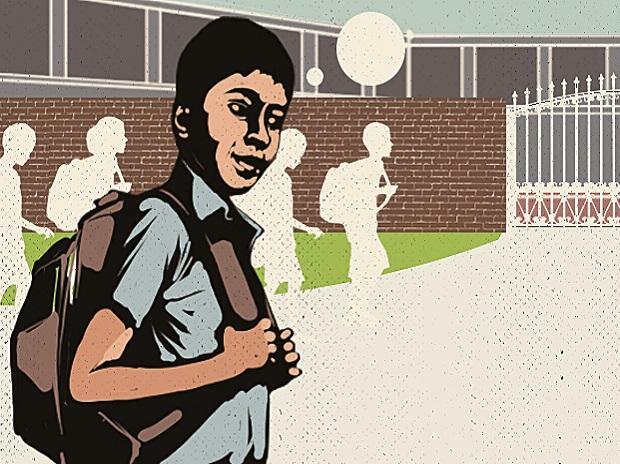 As a recent seminar of the Center for Civil Society to launch their 2018 report on Faces of Budget Private Schools in India showed, the position in India would have been much worse if it were not for the mushrooming of private budget schools in both rural and urban India supplementing and replacing government schools. The dire state of the latter is borne out by the quantitative analysis in a study presented by Professor Geeta Gandhi Kingdon (“The Private Schooling Phenomenon in India: A review”, 1ZA Discussion paper 10612, http://ftp.iza.org/ dp10612.pdf). She estimates that between 2010-11 to 2014-15, the total stock of government schools rose by 16,378 schools, whilst that of private schools (excluding private-aided schools, which are equivalent to government schools) rose by 71,360 schools. The enrollment in government schools fell by 11 million and that in private schools rose by 16 million students. This trend was particularly marked in Uttar Pradesh (UP) where during these four years the number of private schools rose by 31,196 with enrollment rising by nearly 7 million students, whereas enrollment in government schools fell by 2.6 million. These trends have led to the growing number of tiny or small government schools where the average teacher salary cost per pupil has risen from Rs 4,250 per month (pm) in 2010 to Rs 6,522 pm in 2015. By contrast, Kingdon estimates that the median fee in private-unaided schools was Rs 500 pm in urban and Rs 275 pm in rural India. There was large interstate variation in these fees with private school fees from Rs 117 pm in rural UP to Rs 692 pm in rural Punjab, and Rs 250 pm in urban UP to Rs 1,800 pm in urban Delhi. By benchmarking these private school fees against the minimum wage of daily wage labourers, as well as the per pupil expenditure in government schools Kingdon also shows that, contrary to popular perceptions about private schools, “a good proportion of private schooling caters to the really poor”. The reason for the ability of private-unaided schools to keep fees low enough to provide access to education for the really poor is the much lower teacher salaries in private as compared with government schools and their much lower infrastructure costs. She estimates that in 2014-15, averaging across states, the mean primary teacher salary in government schools was Rs 40,623 pm, and for upper primary teachers was Rs 51,595 pm, with additional pecuniary benefits like retirement gratuities and pensions. By contrast, on the meagre available evidence from specific academic studies, by the early 2000s the ratio of private school teacher salaries in 20 Indian states was on average 20 per cent of teacher salaries in government schools. The reason for this difference is that, whereas government school salaries are administered and influenced by pressure from the ‘insider’ teacher unions, the private schools pay a market determined wage. Given the excess supply of graduates with a 10.5 per cent graduate unemployment rate, many unemployed graduates are willing to take low wage teaching jobs in private schools. Does this large wage differential between government and private schools, lead to marked differences in the quality of education provided? Surprisingly, Kingdon shows that with Indian government school teachers being paid four to eight times more than their Chinese counterparts, they could be expected to be in the higher part of the ability distribution of the population than in China. But, nevertheless, Indian students do much worse in the Programme for International Student Assessment standardised tests of reading, mathematics and science, coming out 73rd of 74 countries, whereas China came 2nd. Similarly, as Indian government school teachers are paid 12 to 13 times more than those in private schools, the quality of teaching and learning outcomes would be expected to be much better in government schools. But, based on the data from the Annual Survey of Education (ASER) for various years, Kingdon shows that whilst children’s learning level is low in both government and private schools, it is higher in private schools. Various econometric academic studies based on the ASER and other data, which control for the varying socio-economic background of students in private and government schools, find that learning levels in private schools are no worse and in many cases much better in government schools. Given all this evidence, the Right to Education Act can be seen as seriously flawed with its emphasis on infrastructural inputs. As these are beyond the means of budget private schools, they can be seen as an attempt to kill budget private schools, thus aiding the ‘insider’ government schools from the competition from ‘outsider’ low fee private schools. If India is to garner its demographic dividend it needs to remember the sage advice of 19th century economists from J S Mill to Karl Marx that for the merit goods of education and health, there is only a case for government financing but not for their production. Given the higher value for money provided by private schools compared to that by government schools, K-12 education in India should move towards a system where the government provides financing via vouchers to parents for education provided by an autonomous private sector.